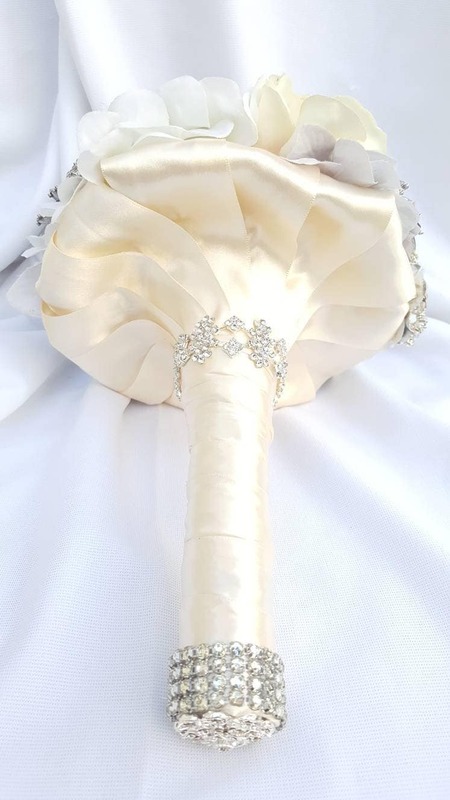 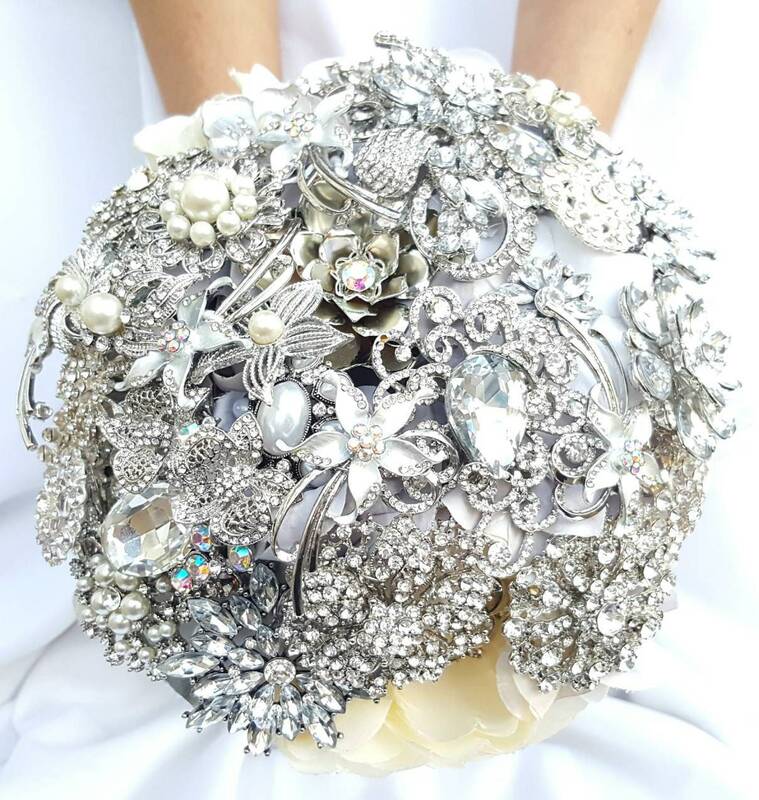 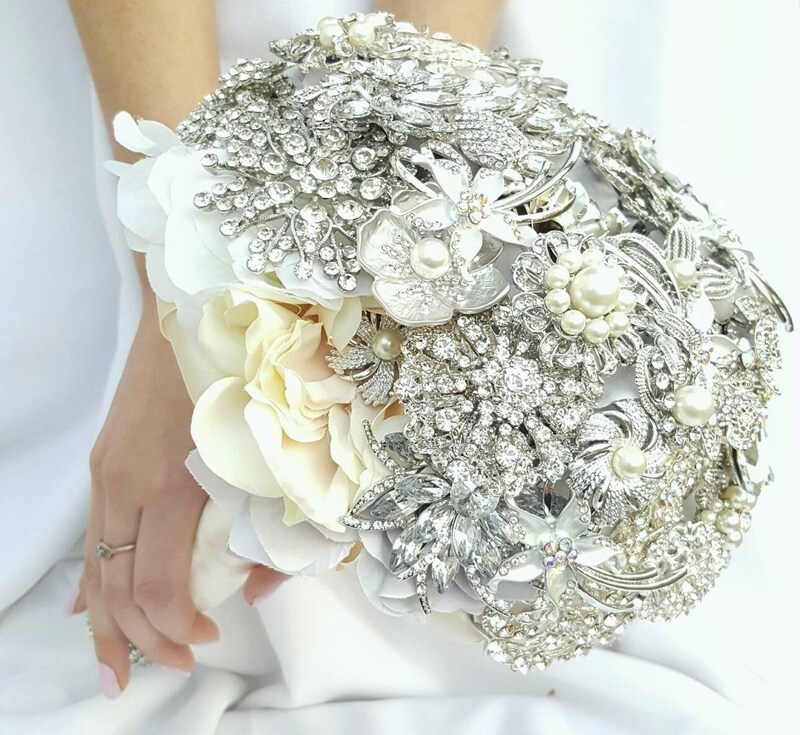 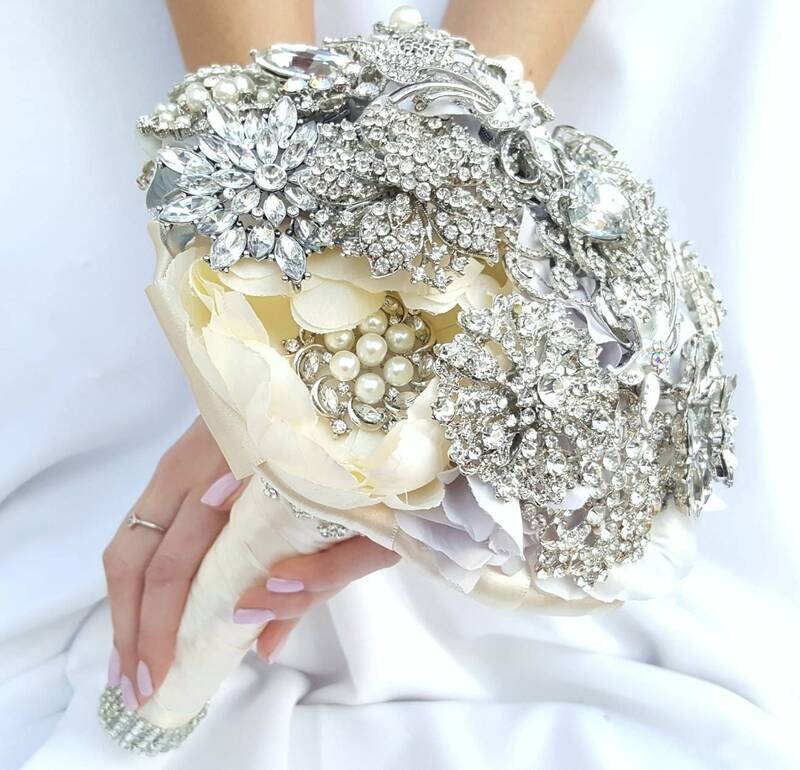 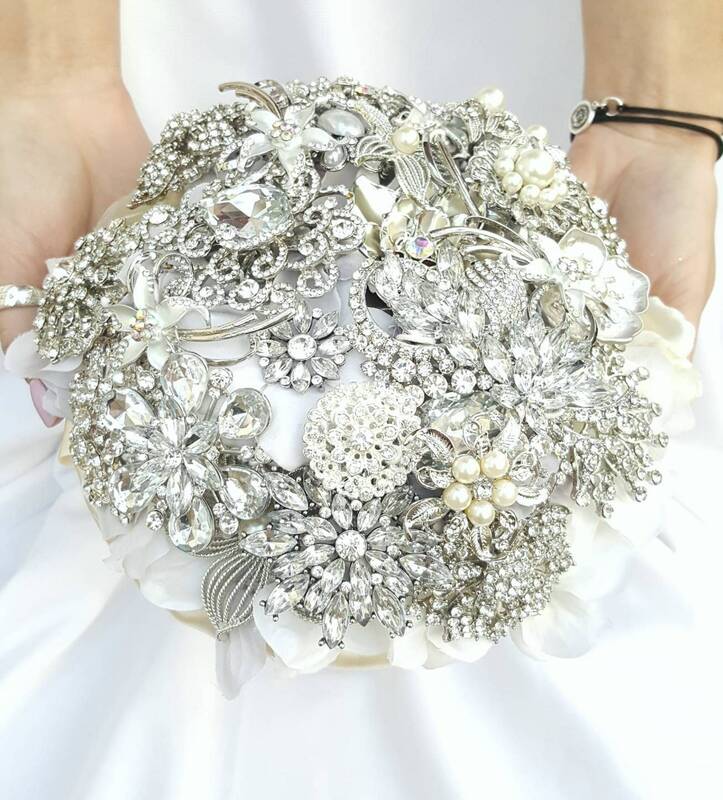 You are purchasing the 10 inch diameter broooch bouquet pictured in ivory white and "crystal". 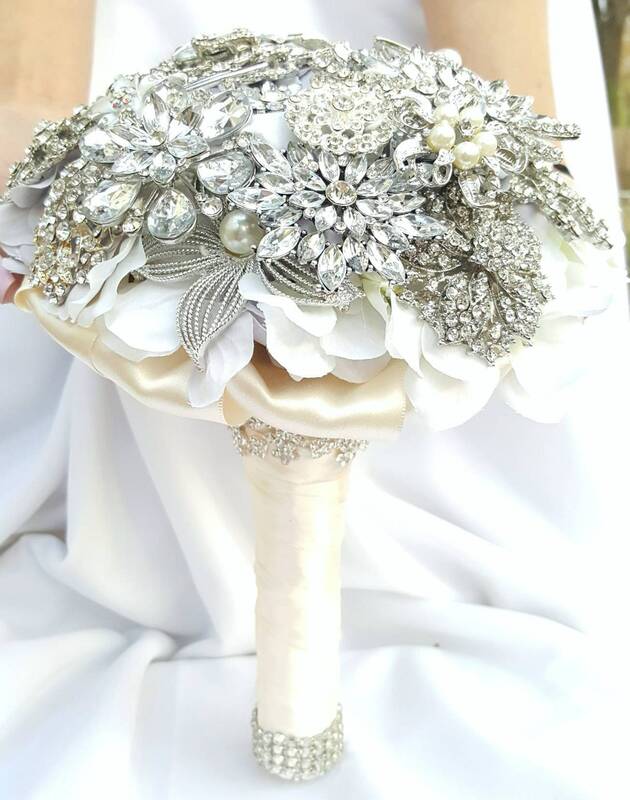 The bouquet handle color can be changed for an additional fee; if you would like to change it please message me first to ensure it can be accomodated. 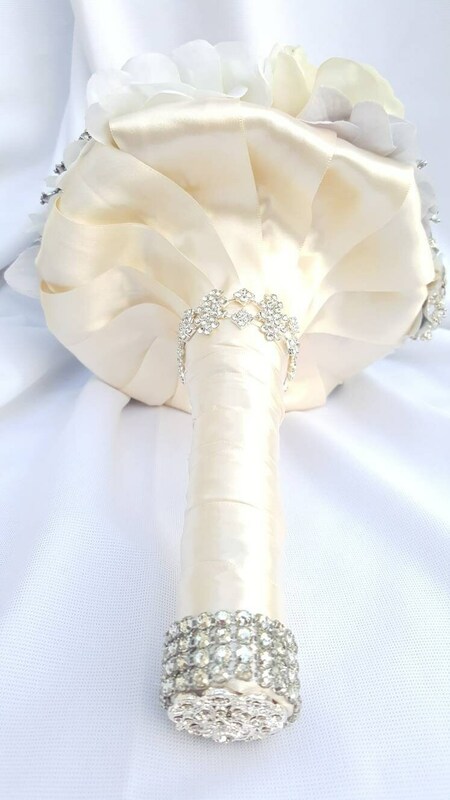 Please note the $35 shipping and handling charge for US. 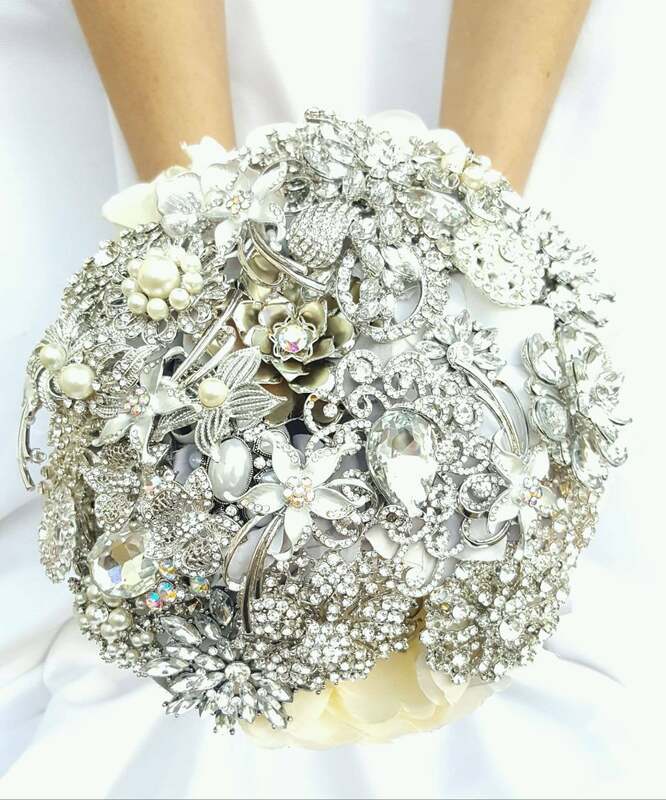 Please convo me for INTERNATIONAL shipping.